This constant current inverter power source is designed for both stick welding and tig welding. This particular package is equipped with the accessories for stick welding only.. Your package is complete with power source 110 amps 115volt, stick welding electrode hold/cable, ground /cable, carrying case..... 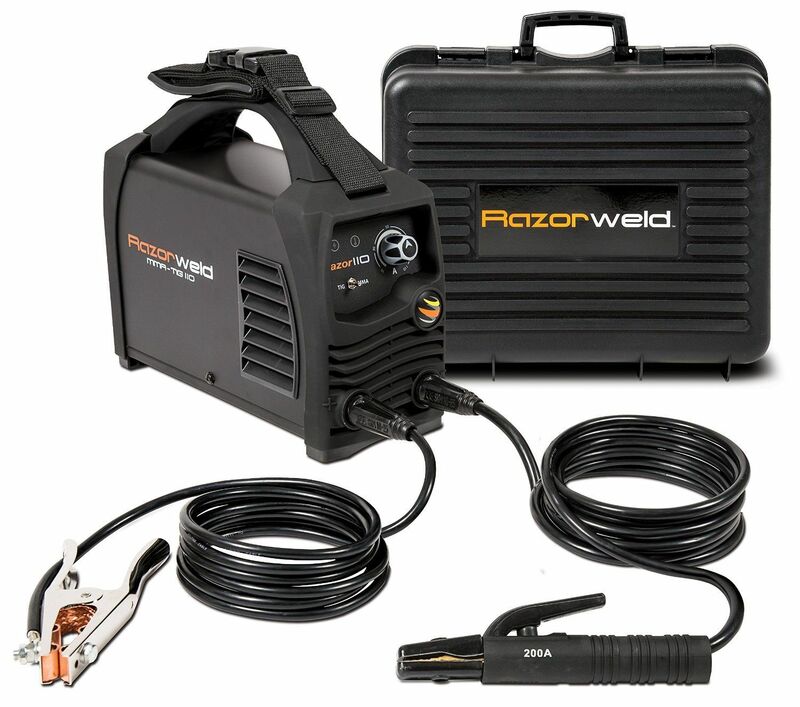 This machine is tested and approved by Mister Tig as seen on "youtube" should you elect to tig weld, merely purchase the option tig accessories kit. Size (inches) 12.32" x 5.11" x 9.84"